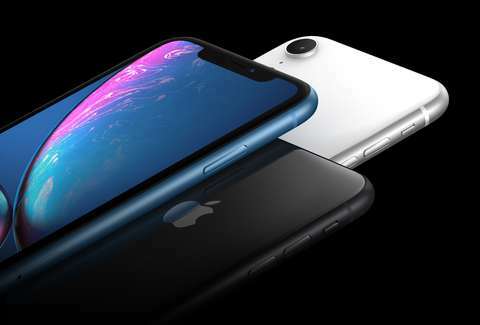 After months of speculation and all sorts of high-profile leaks, Apple officially unveiled the iPhone Xr, iPhone Xs, and iPhone Xs Max on Wednesday, finally putting to rest questions about what colors would grace the 2018 models. The answer? Lots of colors. Unlike last year's limited color options, this year's iPhone palette has some new options. While Apple is limiting the new iPhone Xs and iPhone Xs Max to just three color options, the all-new iPhone Xr will be available in a few more hues, some of which are sort of reminiscent of the ultra-colorful iPhone 5c from back in 2013. Apparently, the tech giant is betting additional colors will be enough for you to drop hundreds of dollars on one of the new phones, but just remember, you may end up covering the whole thing with a protective case anyway. Here are all of the new iPhones and their available color options Apple announced. Behold, the most colorful iPhone models in years. As the rumor mill predicted over the last few months, Apple's slightly lower-cost successor to the iPhone 8 and iPhone X comes in multiple colors. Specifically, you can choose from six different finishes: black, white, red, yellow, coral, and blue. While the iPhone X was weirdly limited to just space gray or silver last year, Apple is adding one new color option for its high-end iPhone Xs and iPhone Xs Max: gold. That means you have a total of three colors to choose from this time around: silver, space gray, or gold. As with the previous generation iPhone X, all of the phones will sport a thin black bezel and "notch" on the front. In other words, the colorful finish is limited to the back and the sides of the phone. Of course, the new gold finish may be a welcome change, but there's a slight downside in that it just got even harder to decide on which one you'd like. Best of luck.